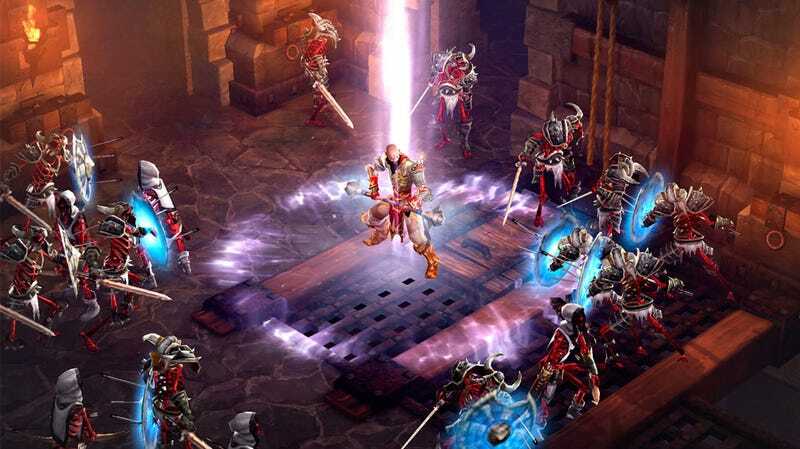 The third Diablo game will finally hit current-gen consoles (minus Wii U) this summer. Blizzard announced today that the Diablo III: Ultimate Evil Edition—which includes both the base game and the recently-released expansion, Reaper of Souls—will be out on August 19. In addition to PS4 and Xbox One, the Ultimate Evil Edition (what a name!) will also be available for PS3 and Xbox 360. It'll be $60 on current-gen, $40 on last-gen. The console version of Reaper of Souls has been designed to take advantage of the unique features of the console platforms. All four console versions of the Ultimate Evil Edition feature4-player same-screen and online multiplayer—whether you're banding together on the same couch or joining the fray via PlayStation®Network or the Xbox Live online entertainment network, Reaper of Souls makes it easy to experience Diablo in the best way possible: with your friends. The Ultimate Evil Edition introduces even more ways for players to share their adventures. A new Apprentice mode boosts low-level players' power while adventuring with high-level friends, making it easier than ever to play together. Players will also be able to share treasures with other players on their friends lists via an in-game mail system, including mysterious Player Gifts containing rare loot for the adventurer whose name they bear. You'll also be able to transfer your characters from the PS3/360 versions, though Blizzard hasn't talked about any plans to allow upgrades.